Students at Embry-Riddle Aeronautical University recently demonstrated an aviation first by cruising the sky in a hybrid propulsion aircraft. A team of nearly 200 students spent the last year and a half designing, manufacturing, testing, and flying the hybrid plane dubbed ‘Eco Eagle’. The new aircraft challenges everything we know about efficient flight technology. The plane combines the use of a super-efficient gas motor and a battery powered electric propulsion system. On September 7th, test pilot Mikhael Ponso took off and climbed upward with the 100-horsepower gas motor. Once the aircraft hit cruising altitude, it seamlessly transitioned to the full-electric mode with 40 horse power for the rest of the flight. The switch made Eco Eagle not only more efficient, but nearly silent with just the sound of the propellor in the wind. 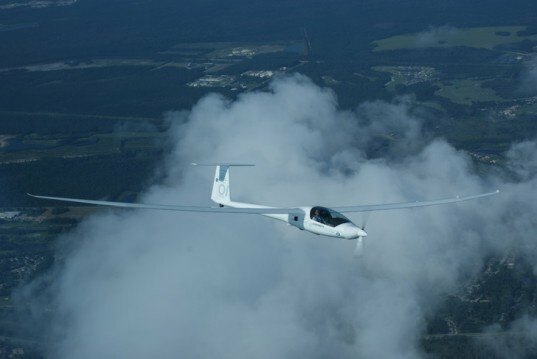 Though the plane is only a hybrid, it is currently the best combination of speed, climb rate, endurance, and efficiency out there. The students plan to demonstrate the aircraft at NASA’s Green Flight Challenge, September 25th- October 3rd and other aircraft performance expos. It's a good thing that electric aircraft is developing althoug it seemswe have to wait a little bit longer for batterys to be more light weigt and faster charge with longer range I liked your article very much. Students at Embry-Riddle Aeronautical University recently demonstrated an aviation first by cruising the sky in a hybrid propulsion aircraft. A team of nearly 200 students spent the last year and a half designing, manufacturing, testing, and flying the hybrid plane dubbed 'Eco Eagle'. The new aircraft challenges everything we know about efficient flight technology.